If you’re unhappy with your smile due to minor aesthetic imperfections, porcelain veneers—or dental veneers—may be able to help you achieve the vibrant celebrity smile you desire. 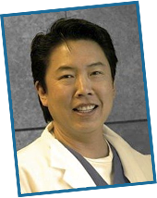 Hayward cosmetic dentist Dr. Gary G. Fong has a passion for natural smile aesthetics, and he has years of experience in making patients’ dreams of perfect smiles become reality with the use of porcelain veneers. To learn more about dental veneers and whether they are the best treatment option for your cosmetic goals, please call 510-582-8727 to schedule your consultation; Dr. Fong welcomes patients from Hayward and the surrounding Castro Valley, San Leandro and Union City areas. Bonded firmly to the surfaces of your teeth, porcelain dental veneers offer durability and continued bite functionality in addition to their aesthetic beauty. For more information about the applications of porcelain veneers, please see our Am I a Candidate for Porcelain Veneers? page. If porcelain veneers are the right choice for your unique dental needs and aesthetic objectives, impressions of your teeth and advanced computer modeling will be used as the basis for your individually created dental veneers. Dr. Fong works closely with the lab to ensure your porcelain veneers are properly contoured and colored in accordance with your personal treatment plan. Before your veneers are adhered to your teeth, Dr. Fong will verify their size, shape, coloration and alignment to assure your satisfaction with your new smile. Once bonded in place, your porcelain veneers allow you to enjoy your normal diet, and they are easy to maintain with good dental hygiene and regular checkups with Dr. Fong. Additional details on the advantages of porcelain veneers can be found on our Dental Veneers Benefits page. To discuss your ideal smile and learn if porcelain veneers are right for you, please contact Dr. Gary G. Fong today. Dr. Fong is proud to serve patients from the greater Hayward, Castro Valley, San Leandro and Union City, California, areas.